Last week I did something that I rarely do anymore, I listened to the radio. Not satellite, but good ole fashioned real FM. Between the familiar voice of Elvis Duran (a radio staple since as long as I can remember) and odd public service announcements, I heard a song that I recognized, but that I hadn’t ever really paid much attention to, “Lights,” by Ellie Goulding. Giving it a full listen, I realized how infectious it was when I found myself still listening to it non-stop on Spotify over the next three days. Not only that, but I was listening to loads of Ellie Goulding songs that I never realized were Ellie Goulding, because let’s be honest, who the heck is Ellie Goulding? Sure she’s everywhere these days, but I was not connecting the dots. I’m glad I finally did, because between “Lights”, “Starry Eyed,” and “Anything Could Happen,” I found myself drawn to the beats and lyrics belted out by this vocalist who can do Sophie Ellis-Bextor and Kylie Minogue just as well as she can Adele. Here’s “Lights” a little Monday pick-me-up that may just stay with you for the rest of the week. 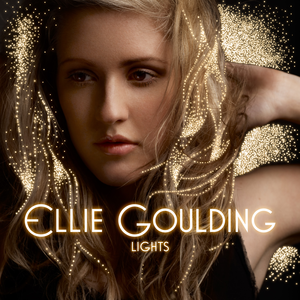 This entry was posted in music and tagged ellie goulding, lights, song of the day.